The pulse of life returns to Syria at all levels and fields, including festivals and international exhibitions. 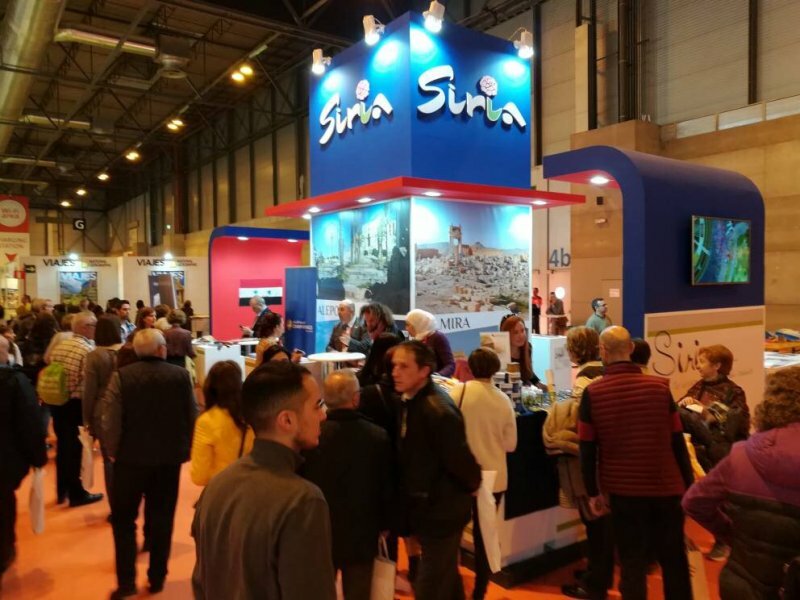 The International Tourism Fair 2018 in the capital of Spain, Madrid, achieved a great turnout as a result of the Syrian participation, which was distinguished by politicians and diplomats from different countries and representatives of specialized tourism companies and institutions. 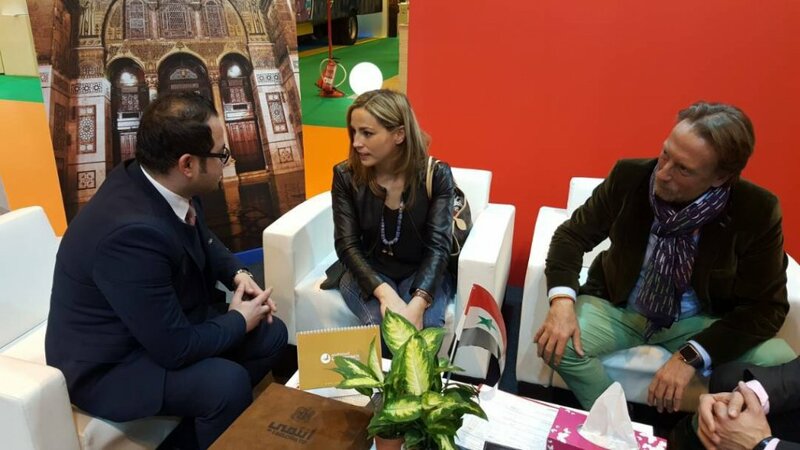 The Syrian participation topped the Spanish Media News as it comes for the first time in this exhibition from seven years through the Syrian Ministry of Tourism. The participation of the Ministry has received concrete support from the Syrian Embassy in Spain, which followed up on the most accurate details and welcomed the participants in the Syrian wing. 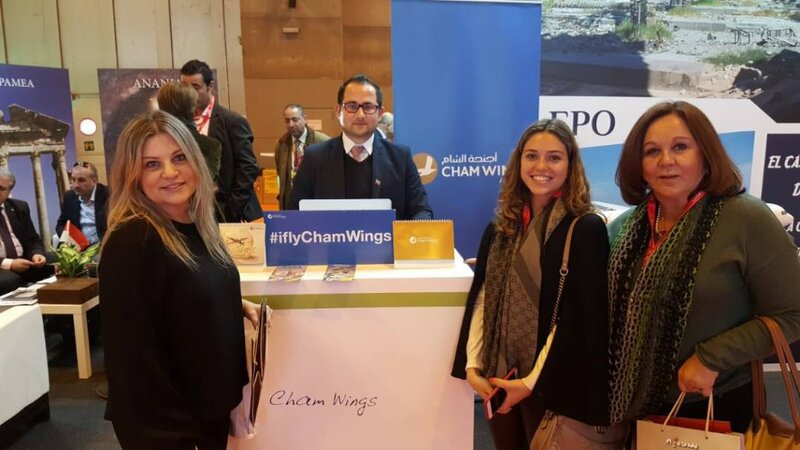 During the exhibition, Cham Wings Airlines had a prominent role of being the official sponsor in this participation, the company made efforts to show the real picture of Syria and its beauty with its great cultural heritage and traditional industries that prove their originality and greatness. Mr. Khaled Sheikh Ibrahim, the Marketing Manager of the company gave detailed information to the visitors in the Syrian wing of Cham Wings Airlines and its destinations and the services it provides to passengers, as well as its expansion through a large network of routes that seek to reach all the European cities where Syrians reside. He also explained the reality of the work atmosphere of the tourism companies and aviation companies in Syria and the difficulties and losses caused by the crimes of the terrorist organizations and the unilateral economic coercive measures that were imposed by the European Union (EU) on the Syrian citizens and on the critical infrastructures in Syria.